This year has already brought a fair share of surprises for music lovers of all kinds, and making sure that he keeps listeners on their toes is Captured Tracks’ resident dream popper Jack Tatum, better known as the mind behind the lush and entrancing sounds of Wild Nothing. With the release of his sophomore album, Nocturne, dating back to last August many thought that it’d be a while before new material would come from Wild Nothing, but then – almost out of nowhere- came the news of Empty Estate, and with that, Tatum had thrown everyone for quite the curve. “A Dancing Shell” was the first taste of what was to come and even though the track was riddled with Wild Nothing’s trademark, whimsical pop sound, there was a new direction to be found that separated it from what fans might come to expect. Tracks like “Ocean Repeating (Big Eyed Girl)” and “Data World” demonstrate Jack flexing his experimental muscle with deep ’80s grooves and flamboyant atmospheres while “On Guyot” and the closing track “Hachiko” present themselves as vivid works of ambiance. When speaking of Empty Estate Jack said, “I felt free to try things musically that I would have stifled before,” and this is evidently visible through the release’s duration. 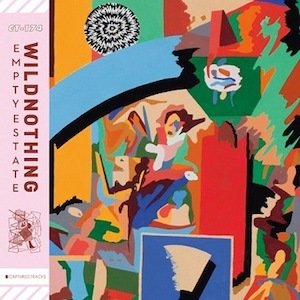 It’s unknown whether or not this EP is an indication of the future but regardless, it’ll be marked as another magical entry in Wild Nothing’s perpetually charming world.